Bummed that you’re not getting your convention fix this weekend because you’re not in San Diego? Never fear, you can watch the weekend’s panels happening offsite in San Diego at the sixth annual Nerd HQ event online now. 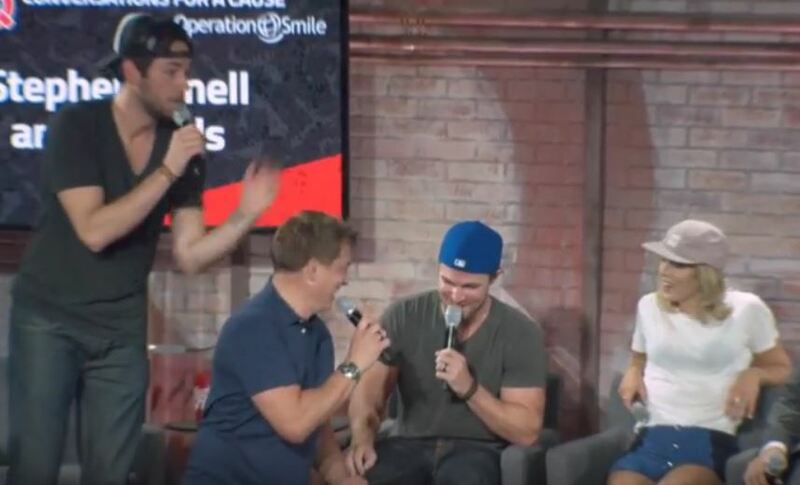 Nowhere else can you watch every panel with Stephen Amell, John Barrowman, Nathan Fillion, Joss Whedon, Scott Bakula, Jennifer Morrison, Jai Courtney, Jared Padalecki, and Tom Hiddleston this weekend. Chuck star Zachary Levi began Nerd HQ as a charity event alternative for fans who couldn’t get tickets to SDCC. Ad hoc auctions occur throughout the panels to raise money for Operation Smile. Check out the fun borg.com staff had at past Nerd HQ events here.